UConn's full schedule for 2018-19 was released on Thursday, including 10 games against teams who made the NCAA Tournament last season. The Huskies will face 11 teams that ended the season ranked in the RPI's top 50, including Notre Dame, Baylor, Louisville and South Carolina. Dec. 2 — The biggest game on UConn's schedule will be a rematch against Notre Dame, the reigning national champion. 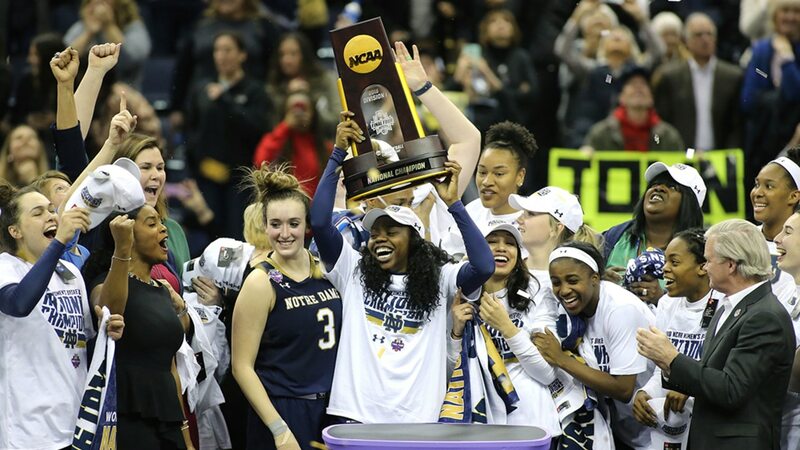 The Huskies' national title hopes were crushed last year thanks to a buzzer-beater that sent Notre Dame to the championship. They'll head to South Bend to take on the Fighting Irish at 4 p.m. on ESPN. Jan. 3 — Baylor is ranked third in ESPN's "way-too-early top 25," and returning a majority of its talent from last season. UConn hasn't faced the Bears since 2016, when the Huskies won 72-61. UConn will take on Baylor in Waco at 9 p.m. on ESPN. Jan. 31 — Another tough nonconference game for UConn will be against Louisville. The Cardinals lost just one starting senior last year, so they're coming into the season with a lot of experience on their side and are ranked fifth in ESPN's early preseason ranking. Last season, the Huskies defeated the Cardinals 69-58 in Storrs. This season's game will be in Louisville at 7 p.m. on ESPN. Feb. 11 — The last of UConn's tough nonconference games will be in Hartford against South Carolina. The Gamecocks come in at No. 15 in ESPN's early top 25. The Huskies defeated South Carolina 83-58 last season. The Huskies will play six of their home games at the XL Center in Hartford, including games against UCF and South Carolina. They will play one game at Mohegan Sun Arena -- against Vanderbilt on Nov. 17. Seven of the Huskies' games will be broadcast on ESPN or ESPN2, and two of their games will be on CBS Sports Network. SNY games will be broadcast on ESPN3 within SNY's coverage range. Nov. 23 vs. St. John's in St. Thomas, Virgin Islands, 7:30 p.m.